Sore and swollen gums are a common issue for many people. Along with visiting your dentist, there are other steps you can take to relieve gum pain and reduce swelling. The following are a few reasons why sore gums occur and what you can do about them. Gum disease is the leading cause of painful gums. Bacteria attack the gums, leaving them red and swollen. People with gum disease are also prone to bleeding gums, which usually occurs during brushing and flossing. If left untreated, gum disease will progress and in severe cases, may even cause tooth loss as the tissue recedes from the tooth. The way you brush can also affect gum sensitivity. Brushing teeth harshly with a hard-bristled toothbrush irritates gums and can create small cuts and abrasions that may become inflamed when eating or drinking. Canker sores are also known to cause gum pain, as can sinus infections. Sinus infections are often accompanied by congestion and headaches. If you’re concerned about gum disease, it’s best to schedule an appointment with your dentist. Special tools remove plaque along the gum line, which prevents irritation. Your dentist can also offer insight on how to properly brush and floss your teeth. When brushing along the gums, use gentle motions to avoid damage. Also, consider investing in a soft-bristled toothbrush or an electric one that removes plaque gently. If you get canker sores, mouth rinses help relieve pain while also promoting healing. Topical ointments are another option. Your dentist can prescribe one, or you can find options over-the-counter. Additionally, treating an underlying sinus infection with decongestants will usually resolve gum pain and swelling. Gum tenderness can indicate a more serious issue, which is why you should see a dentist if you’re experiencing any problems. 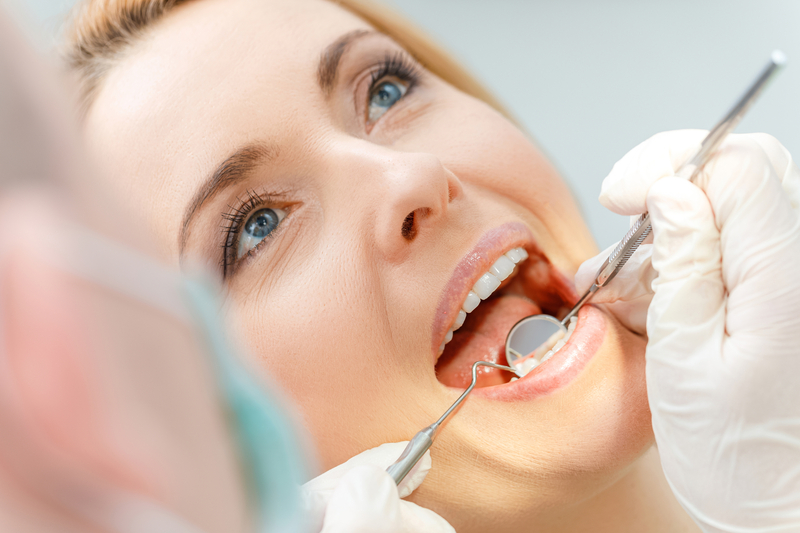 Located in Kannapolis and Concord, NC, the team at Cabarrus Health Alliance/Dental Clinics offers a wide range of preventative and restorative treatments to ensure your smile remains healthy for life. In addition to teeth cleaning, extractions, and pediatric dental care, they also offer emergency appointments to ensure you can receive care when you need it most. Call (704) 920-1070 to schedule an appointment at the Kannapolis clinic or call (704) 920-1070 to make an appointment in Concord. To learn more about their services, including a mobile dental clinic that travels to local schools, visit them online.